A customer favorite year after year, Whopper Strawberry produces exceptionally large berries that are excellent for fresh eating, dipped into chocolate and dips, and made into desserts. Extremely hardy, disease-resistant plants grow well in a variety of climates--and multiply year after year. 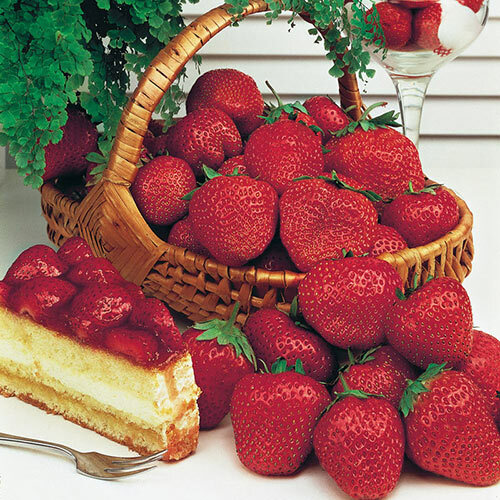 Prolific plants produce plenty of gorgeous, red juicy berries. Zones 5-10. PP16971. For each offer ordered, get 40 plants. Don't Forget the Strawberry Food! 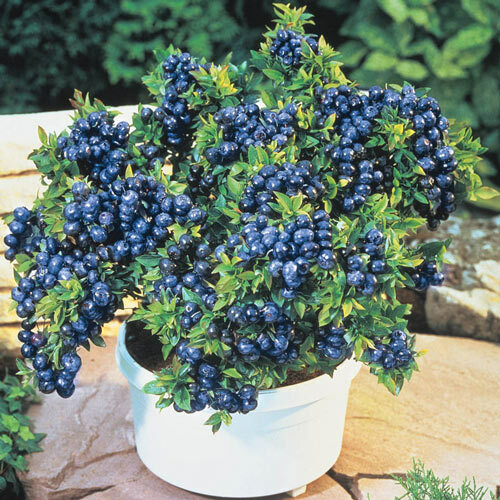 One of our best blueberries for container growing! Growing just 18 inches tall, Dwarf Tophat has a lovely compact, mounded shape and is loaded with white blossoms in the spring and red foliage in the fall. In late Aug. you'll be rewarded with hundreds of firm, flavorful, dusky blue fruit with a wild blueberry flavor. Self-pollinating. Zones 3-7. For each offer ordered, get 1 jumbo-grade bareroot plant.